Having the best display stand at your show or exhibition is only the first step. 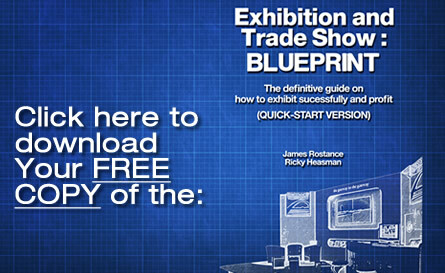 Here we provide you a FREE “Insiders” guide to exhibition and trade show success. We have coupled our industry knowledge of design and build of stands and coupled this with some marketing expertise to help you understand some of the factors you should be considering, prior to your event or exhibition show itself. Spectrum Exhibitions have provided us with exceptional service over the years. The guys there always deliver exactly what they promised and are always on hand for any questions before, during and after the build. . It is a real comfort when turning up on the stand for the first time to know everything will be ready and all of the planning has come together without any stress to us. The stand is always professionally constructed and the detail is always spot on! Spectrum exhibitions have built and created numerous environments for my company over the past 12 years. I continue to use Spectrum due to their attention to detail and the ease with which a project is delivered. Having such a level of trust in a company can only make my job easier and save me time and money in the process. Please use our telephone number below to get in touch, alternatively you can also contact us quickly via our online form. Please do talk to us about your event, exhibition or promotional display needs as we are experienced and the industry go-to company when it comes to advertising and displaying at exhibitions. © 2017 Spectrum Exhibitions. trade show display & exhibition stands specialists!